Our winter vacation was something the whole family had been looking forward to for months – two whole weeks of skiing in Colorado! The kids, Elaine, Todd and Stevie as well as John and I were all having so much fun that we never really noticed the bites initially. On our last day at the resort, Todd showed me a whole row of red dots on his skin that he said itched horribly, but we were packing and getting ready to leave so I’m afraid I didn’t pay the attention I should have. Of course we bought some souvenirs while we were there: some cute animals on skis and some hats with the resort name on them. Unfortunately, we never knew that we were bringing home some very unwanted and disgusting souvenirs without knowing it. Everything settled down like always after we came home, the kids went back to school and John and I returned to work. However, after a couple of weeks, the mysterious bites started again. At first we had no idea what was causing all these bites on us, not only did they look ugly, but they itched like crazy. I also noticed some brownish spots on the sheets and pillows that I couldn’t explain. We thought mosquitoes might be biting us, or maybe fleas. John came home one day with bug spray and we sprayed around the beds, thinking that we’d solved the problem. The next morning, I swear we had more bites than ever – whatever was biting us seemed to regard the spray as a garnish. Finally, I took Stevie to the doctor; as he had developed a terrible rash on his arm. When the doctor told me he had bed bug bites, I was speechless. We’d never had anything like this in the house, and I keep a pretty tight ship. Our doctor asked if we’d been away from home and I told him about our vacation, and it was then that I remembered the bites we’d gotten at the resort. The doctor said we’d probably brought some stowaways home with us, and that they’d established themselves in safe nooks and crannies in the house. He gave me some cream for Stevie and anyone else who needed it and told me to get in touch with our local health department. I called as soon as I got home with Stevie and they had plenty of information for me. The first thing I found out was that typical ‘bug sprays’ will do nothing against bed bugs, and that they are now immune from most of the pesticides used against them. The folks at the department told me where to look for cast off bed bug skins and now I understood what those brown spots on the bedding were. I followed the advice of the health department people and called some exterminators. I asked a lot of questions and finally settled on a pest control company that would come and heat up our home enough to kill off the bed bugs. It seems that high heat is the only thing that really kills these little vampires, and there aren’t any chemicals left behind, either. Since the house was treated, we haven’t been bitten again, but you can be sure that we’ll be very careful the next time we go on vacation. I know I had a lot of questions about bed bugs especially after been bitten by them, so I’ve put together a list of frequently asked questions about bed bug bites that might help anyone out there who may be victimized by these tiny bloodsuckers. How do you know if you have been bitten by bed bugs? How to tell if bed bugs are in my bed? How long does it take for bed bug bites to show? What other bugs make bites that look like bed bug bites? Are bed bug bites dangerous? Do they transmit disease? If a bed bug bites someone who is HIV positive and then bites me, could I get HIV? Do bed bug bites cause a spreading rash? How can I stop bed bug bites from itching and swelling? Can wearing pantyhose while sleeping prevent bed bug bites? Does alcohol help bed bug bites go away? What natural remedy works best on bed bug bites? Is there something I can put on my skin to prevent bed bug bites? How long does it take bed bug bites to heal? Do bed bug bites leave a scar? If so, what kind of cream should I use to fade the scar? Bed bug bites from a hotel; what are the chances I can bring them home with me? Can people sue hotels over bed bug bites? Bitten by bed bugs at home. How do I prevent more bed bug bites from occurring? If someone has bed bug bites, can they pass them from hugging or close contact? If yes, what should I do to prevent it? 1. How do you know if you have been bitten by bed bugs? Since bed bug bites leave red, itchy, highly visible welts on your skin, usually in groups or rows of three or more, there is little doubt when you’ve been bitten. 2. How to tell if bed bugs are in my bed? Bed bugs often live nearby rather than in your bed – in an electric wall socket, behind loose wallpaper, in a crack or behind baseboards. Sometimes they do lurk in a mattress seam – look for the bugs itself, plus droppings (red-brown stains) and shed skins. 3. How long does it take for bed bug bites to show? Most bites appear within two to three hours after been bitten, but sometimes don’t show up for several days or even two weeks, depending on the individual. 4. What other bugs make bites that look like bed bug bites? Spider bites can be any size, but usually appear alone. Flea bites are concentrated on the legs, where bed bugs can bite any where on the body when the skin is exposed during sleep particularly on the arms, neck, face as well as on the legs. Mosquito bites appear one at a time and last an hour or less. Some symptoms of bed bug bites can be similar to a mosquito bite, but they are somewhat smaller, last longer, and come in groups or lines; they also continue to itch for days and sometimes weeks. 5. Are bed bug bites dangerous? Do they transmit disease? Though disgusting, there are no medical evidence to proof that bed bug bites transmit diseases from person to person. They can cause an allergic reaction, though. 6. If a bed bug bites someone who is HIV positive and then bites me, could I get HIV? No, you can’t catch HIV from bed bugs. A hepatitis outbreak in Gambia and independent laboratory research proved that bed bugs can’t transmit infectious viruses. Isn’t this a relief? 7. Do bed bug bites cause a spreading rash? To some degree, yes. Bed bugs inject anesthetic when they bite you. This causes a rashy allergic reaction sometimes. People also give themselves skin infection by scratching the extremely itchy bites hard enough to break the skin. If the rash spreads, visit a doctor; you may need an antibiotic cream for a mild infection. 8. How can I stop bed bug bites from itching and swelling? Applying calamine lotion to bed bug bites can help soothe away the itching and swelling. Alternately, try cortisone cream or a paste of wet baking soda (also good for wasp stings). Use a cold pack for extra relief. 9. Can wearing pantyhose while sleeping prevent bed bug bites? Technically, no. Bed bugs bite any exposed skin anywhere – arms, hands, neck, face, and so on. You can’t cover your skin everywhere 24 hours daily. 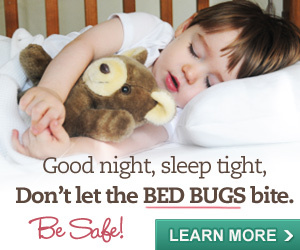 If you want to prevent being bitten by bed bugs, the only solution is to exterminate them. 10. Does alcohol help bed bug bites go away? Yes, rubbing alcohol can help relief bed bug bites. The alcohol dries the bites, and plus helps sterilize the area, lessening the chance of infection. Don’t use rubbing alcohol near your eyes or your mouth. Note that rubbing alcohol does not repel bed bugs. 11. What natural remedy works best on bed bug bites? If you want to try natural ways to help soothe your bed bug bites, St. John’s wort, witch hazel, oatmeal soaks, or lemon juice are recommended. 12. Is there something I can put on my skin to prevent bed bug bites? No, many people have claimed fail-safe bed bug repellents, but there’s no scientific evidence these work. Insecticides used as repellents can poison you, while essential oils like tea tree oil are also hazardous, and do nothing. 13. How long does it take bed bug bites to heal? Bed bug bites last longer than mosquito bites, but they usually go down in a few days if no new bites appear. They may take two weeks if you’re sensitive to them. 14. Do bed bug bites leave a scar? If so, what kind of cream should I use to fade the scar? 15. Bed bug bites from a hotel; what are the chances I can bring them home with me? If you aren’t careful, you can easily bring bed bugs home from an infested hotel. Bed bugs were reintroduced to the U.S. by travelers, in fact, and in many cities, the worst infestations are in hotels. Try the below tricks to prevent bed bugs from hitchhiking home with you. 16. Can people sue hotels over bed bug bites? Yes, people can sue hotels for being bitten by bed bugs, and some have actually won settlements of $300,000. Success is not guaranteed, however. 17. Bitten by bed bugs at home. How do I prevent more bed bug bites from occurring? Don’t try to wipe out the infestation yourself if you are not sure or have never dealt with bed bugs – instead hire a professional exterminator who uses specialized chemicals or thermal treatment to do the job. These people may use bed bug detection dogs to check for residual infestations, too. 18. If someone has bed bug bites, can they pass them from hugging or close contact? If yes, what should I do to prevent it? Bed bugs aren’t external parasites like lice or fleas, and don’t spend much time hanging out on people other than a quick foray to bite followed by an equally quick retreat to their favorite crack in the wall. Bed bugs don’t remain on their victim like fleas or ticks. Most bed bug infestations come from luggage or second hand furniture. So, hug away, shake hands, dance a waltz with them if you feel like it – people bitten by bed bugs aren’t infectious. Emmy winning documentary explores how and why bed bugs are making such a huge come back. Yuck! I have the creepy crawly feeling all over my skin now after reading about this! Thankfully, I’ve never had to deal with bed bugs. (Knock on wood). But I remember reading about the super bed bugs in the news a little while ago. The super bugs were in hotels up and down the east coast and being spread to other parts of the country. It was really difficult for people to get rid of them. It’s really sad actually. Those people suffered from the bites, had to sterilize their clothing and their homes. It was so bad that bed bug extermination companies started popping up all over the place. I believe that has calmed down now. But I know where to return to if I ever have to deal with them myself…this blog post! I’ve been bitten by bed bugs at a hotel. I never even considered how easy it might be to bring them home with me until I read this blog post. From now on out, I’m keeping my luggage on a folding stand away from the bed… and, maybe, jumping in the washing machine with my luggage before venturing back inside my house. Thank you so much for sharing your experience. My family and I took a trip to North Carolina in July. We discovered bed bugs in the condo we rented on our 4th day. The bug guy who came to assess the situation said it was an infestation of about 2-3 months based on what he found. We were relieved to find a place to move to mid-week. We also felt REALLY lucky that we discovered the problem while we were there so we could take steps to keep them out of our home. We spent the rest of our trip doing laundry, steaming shoes and other belongings, and actually threw away our luggage and some of our kids toys just to be on the safe side. Two weeks later, I’m hoping if was enough to keep bed bugs out of our home. Time will tell. It helps to know of others who have had their vacation derailed by bed bugs and lived to tell about it. I wish there was a way for travelers to share experiences and warn others of places that have a history of bed bugs. PS We live in Colorado. Wondering what resort you were visiting? Sad part. I never delt with bed bugs till i moved to live with my bio mom. They have been suffering for 12 years. I moved in last year. Im being bitten at all hours of the day. No joke. I killed three a few mins ago. My legs itch like mad. Sleeping is hard for me because of them. So I spent the night at my sisters house and I slept on her bed. And I woke up with a few bumps on my arms. They didn’t start to itch until about an hour later. They seem to have appeared on my arms, hands, legs, feet, and on my eyebrow and cheek. Im having a really tough time sleeping and ive tried rubbing down the bites with alcohol. I really cant stand the swelling and itchyness, and school starts next week. :/ any ideas on how to get rid of the itchyness and make them go away quicker? Thanks for the info! I had a really bad experience with these bed bugs from pagoda hotel in Honolulu, Hawaii. Got bites all over my body! I have such a hard time sleeping at night, reaching for things in my pockets, and walking! Somehow, they bit all under my feet so it’s painful to walk and all over my hands so it’s painful to rub against my pockets. Most of the bites are on my feet, knees, hands, arms, back, and neck. I made a complaint through email and got no response from the hotel. I didn’t ask for anything, but for them to do something about it because it’s a really painful, itchy and embarrassing experience. Hopefully laws make hotels do thorough extermination whenever people complain so the next person(s) doesn’t have to experience what I’m going through right now. I know it’s impossible to control, but I really wish there was a solution. Most of my bites turned into blisters, maybe because I’m allergic? Oh well, I just hope the next people that stay in my room don’t have to suffer like how I am and the hotel responds to my email soon to take care of the situation. Thanks for reading! Went on my annual Gatlinburg Tennesse Mountain trip and came home covered with bed bug bites. I went to the dermatologist got a steroid shot and prescription to put on the bites. Hired a bed bug sniffing dog for $200.00 and yes he alerted in 3 spots in my house. Hired the exterminators to heat my house cost over $1,400.00. Bought aller-zip bed bug encasements for my mattress, pillows and box springs. Bought blackout interception barriers for my bed frame legs. No more bites! The hotel said they would refund half of my money but it’s been 6 weeks and no refund. I was highly allergic to the bites. My bites swelled, blistered, seeped, oozed, and itched like crazy, absolute misery. I tried every remedy posted on the web and the only thing that helped me was a very hot shower with soapy wash cloth followed by a cold rinse. The hot hair dryer remedy helped me so so much for the itch! Yes hot heat, be careful. I held it close to the skin and then pulled it away when it got to hot and then back over the bite again. You feel immediate relief from the itch and the relief lasts for quite a while. Alchol on a cotton ball burns but it does have a cooling effect and helps dry the bites. That’s my story…. I’m loosing so much sleep because of these things, how do I convince my parents I have bed bug bites, because they dont believe me. I am the only one getting marks, although not quite as bad as the ones in that picture above. I have been researching how to get rid of the bedbugs and the bites, it sounds like extermination is the only solution. How long do this bites last? I am dying here. I am not sure if I can afford another night this way. Yes, it also seems that I am getting bitten all day not just at night. Is that true? or is it my imagination? I am so full of this bites. It has been about two days since this started. I went on a holiday over a week ago, is it possible that I brought them and it took them a week to come to bite me? or what else can it be? I have just returned from vacation where I was waking up with bites. It took me a couple of days to figure out that it may be from bed bugs. The puzzling thing is that my husband did not have aný bites at all. I only have about 8 or 9 bites in total and not grouped together at all but rather single bites. I tried lòoking for them and saw nothing so I am not surè if that is the cause or not. I am now back home and I am washing all of our clothes as I type this. I am also going to store ouŕ luggage in our shed through the winter. I am in Canada and I have read that prolonged exposure to cold will kill them. I am totally creeped out by this and wonder how many sleepless nights I am facing before I know if we are in the clear? I highly recommend diatomaceous earth. It’s under $10 for a duster bottle of the Harris brand. However, bed bugs can’t become immune to it because the microscopic particles cut them underneath and dehydrate them. Unfortunately it doesn’t kill the eggs so you will have to vaccum every 3-4 days to break the egg cycle. Also get encasements for your bed and pillows. I’ve found that Menard’s and Amazon have the best prices. You will also need to take all clothing and linen and dry on high heat for at least 30 minutes. Another method that will kill them is on a hot day put all you’re clothes and linens (etc) outside in black plastic garbage bags. The internal temperature of the bags will get hot enough to kill any of those pesky parasites. Also, throw out anything that may be questionable be it, pillows, stuffed animals (etc). Bug sprays, if they work will only kill bugs if it’s in direct contact with them. Bug bombs are a waste of time and money too. My parents moved into a place that was infested with them 2 years ago, and we tried everything to get rid of them, and ended up wasting time, money, and throwing out a lot of stuff. However, by ripping up the old carpet in 2 of the bedrooms, applying diatomaceous earth powered along the baseboards and on the floor we have finally started to get the situation under control. I also suggest using the bed bug traps under each post of your bedframes and covering the bedframes with diatomaceous earth. All you need in the areas you treat is a paper thin layer. It will take a few days to start working but once it does you will see results. I hope this helps. I suffered a bed bug infestation which most people in the apartment building attributed to foreigners. My wife and i filed a lawsuit within a couple of days of terrible bites. We won with an out of court settlement of around $82,000. Laser surgery was the only viable solution we found to remove the scarring. It took most of the settlement spent on cosmetic surgery for the both of us before we were satisfied with the results. When you experience an infestation, get a lawyer, you could easily end up with more bites if you do nothing. Just woke up in a hotel ive been at itching crazily. Its 12am, i lay there looking up and realize ive been a dinner of some kind, jump up and look in there mirror to see a bite with red swollen area around it, my hand itches furiously with bites, red swollen skin area aswell on my hand also. I feel awful and mad. These things make mosquitos look nice. My daughter kept telling me something was biting her yesterday but i just dismissed it. Im mad. So quick question when they bite do they stick to your skin to the point of scrapping off with some force I just discovered the nasty bug and its taking g over my life I find myself looking everywhere through my house checking my body and children’s at all hours of the day and even more at night sleeping with the TV on and rechargeable flash light by side and ……. But my question is do they feed and go on their way hiding or do attached to the skin? They will feed and actually move on to continue to feed. They actually leave a zig zag pattern of bites which you may not notice if you have multiple bugs biting you. I have been dealing with this issue for a while. Brought them home from a hotel. We actually got rid of our cat cause we thought I was allergic to – thinking maybe she had long hair dander. Low and behold as i sit on my computer in bed one night 3 of these pesky disgusting critters start walking across my sheets and i realized what it was. It is so out of control. I did a major vacuuming of the entire house, didnt help, steamed everything killing my back in the process, didnt help. So i can’t afford to pay for the heat treatment. My next step is to tape up all the windows in our home, caulk the doors, and turn my heat up to 120 as well as electric heaters in the worst rooms, and take off for the day hoping i can kill them all that way. Who knows, maybe i will go stay somewhere and make it a 2 day heat sauna in my home. Wish me luck. Anyone else ever do the heat option on their own? I am not sure if the bites I’m dealing with are bed bug bites! They started two days ago and they itch like the devil!!! They’re kind of big-ish and bumpy. But it’s not like a big rash or anything. Just two separate bumps! Bed bugs freak me out. i went on vacation and i got to the airport and learned that there were bed bugs in my luggage. i didn’t want to take them home. so i plugged in my bag (with Thermal Strike) it cooked the little suckers and before i went home i took most of my clothes off and cooked them. so nasty. i do not want them in my Home!! I’m at the america motel in Tulsa Oklahoma where my mother has been living and I’m covered from head to toe in bed bug bites. The bites are acquired from my visit here to her last weekend. They started biting me within hours of sleeping on the bed IN BROAD DAYLIGHT!!!!! So that’s a myth that they only come out at night. I saw and killed several of them on the mattress. My mother hasn’t been affected by the bites visibly but I’m completely covered, swollen itchy and sick to my stomach not to mention now I’m paranoid and I can’t lay down without thinking there are bugs under my clothes. Apparently I must be allergic to them. I’ve tried calamine lotion, hot showers, cold packs, alcohol, benadryl cream u name it I tried and no relief. Please if anyone ever comes to Tulsa DO NOT STAY AT THE AMERICA MOTEL. THEY ARE AWARE OF THE PROBLEM AND WON’T FIX IT. I’m calling an attorney. The biggest issue with beg bugs is the rashes. It really scares the hell out of me. I remember my brother got bed bug bites after coming from his business meeting from Tunisia. He had the red colour rashes and they really looked disgusting. Luckily, he never bought them as souvenirs to our home. We brought our bed bugs home from a short stay at a furnished apartment while we waited for escrow to close on our new home. We’ve thrown out much of what we had with us there (bedspreads, sheets, towels and one recliner chair. It’s a constant battle. In spite of the battle, I still get bitten on a regular basis. I have discovered a solution to the itchy bites, tho. As soon as I feel the need to scratch a bite, I spray them with Chloraceptic Throat Spray. I discovered it years ago for my mosquito bites. If I resist scratching for five minutes after spraying (or daubing on with a cotton ball) the heat and the itchiness of the welt subsides. I do not work for this company and I don’t sell the stuff, but you can buy it at any drugstore without a prescription. It works better than anything else I’ve ever tried!